BlogHer isn’t defined by race, but by profession—mainly parenting bloggers. Sure there are parties like the multiculti, or queerisphere events, but nothing specific for groups separated by race. As a black blogger, I attend BlogHer because my site is about diversity, which the BlogHer brand represents. There is nothing on my blog specifically that identifies me by race aside from my pictures. Everyone can read my blog post and they will either love it or hate, but they won’t feel excluded. Yet, I think this was part of the reason why there was a need for black bloggers to get together because despite inclusion, we still feel left out of the conversation. 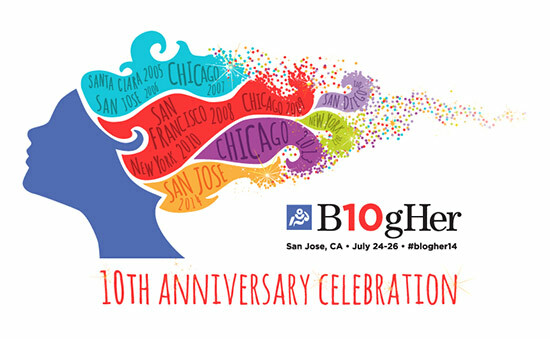 I am considered a BlogHer veteran at this point because I have attended about 5 BlogHer conferences, and I look forward to them each year. However, during past conferences, I never connected with other black bloggers to discuss our presence in the blogosphere, media, and with brands. My work ethic is to work hard, pitch myself, break down doors, and brand myself. If someone says no, I either keep trying or reroute. 1. FeministaJones is a respected force in the blogging world- “Oh My Gawd”… those are the 3 words that describe her. She is the most awesome person and writer, EVER! As I stated on Twitter, she is my “TheBloggess.” Her article on BlogHer regarding the recent disc jockey going-in on a black woman rant was so good that it promoted me to reach out to her prior to the conference and threaten her, lol. Not like a hard threat, but more like a, “If you don’t give me 15 minutes of your time, I will show up at your front door . . . hashtag that!” lmaoooo. What she represents to me is living your truth, writing about it, and appealing to all races. She is a strong woman with an opinion and fearless attitude. Ms. Jones is someone I can look up to as a writer, and feel encouraged to channel my voice through my pen to become a force. 2. I absolutely cannot stand the way Black Women are portrayed in the media. Although there are a few black actresses with roles on TV shows, the overall tone is HOT MESS Reality TV Stars. Now one would think to ignore and continue to be an example. However, where we get into problems is that legitimate brands will not work with those of us who have a good moral compass, education, and a strong work ethic. They are either looking for the hot mess to exploit, or they are not looking for us at all. 3. Although I am fortunate in my media career, this is not the norm for most black bloggers. For years I’ve heard talk of racism in the business, but I never witnessed it first hand to provide examples. My eyes were opened during Essence Festival in New Orleans earlier this month. There were several national brands sponsoring this event. For those of you who are just starting out, and/or not familiar with brands and sponsorships for events, when there is a huge event such as the sporting events, conferences, launches, etc. large brands invite bloggers to attend by sponsoring them and ask them to both represent their brand and cover the event. Sponsorship usually includes per diem for expenses, airfare, hotel, and meals. In exchange the bloggers can be asked for a number of things such as daily blog post, twitter parties, social media amplification, or appearances; this process is STANDARD! During the Essence Festival, a lot of major brands (not all), offered bloggers the opportunity to attend and represent the brand, but in exchange DID NOT sponsor them as well with the normal perks. Essence Festival is held during July 4th weekend, so bloggers were given the opportunity to attend the concerts, but they had to pay for their airfare, hotel, and meals. Now this is no fault on Essence Festival, as I am told this is not the only event that this happens at. It is just the first time I witnessed it firsthand. I am left asking myself, why does it appear, when it relates to the black demographic, there is no budget… but as it applies to everyone else (White, Asian, Hispanic), the standard for sponsorship is given without question. 4. White Female Bloggers to the Rescue: black bloggers have a new ally, white women. Soooo yeah, I totally didn’t see that one coming. There is a movement within the white blogging community where they are starting to speak up on our behalf. They are writing blog post, and stepping up to the mic at conferences to talk about what they have noticed. One writer stated that she has attended events where the white bloggers secretly got gift bags while the black bloggers were left empty handed and still expected to cover the event. My question to those reading this post, are we allowed to speak up and share our stories? Is it racism or is it that brands don’t consider black bloggers as influencers in media? Whatever you classify it as, I am letting you know that we feel left out, and it is a lonely feeling. As a result, this year during BlogHer, there was a huge need for us to get together and support each other. We must continue to have campaigns like “My Black is Beautiful” because the media makes us feel as if we aren’t. We still live in a society where dark skin is associated with bad, and white is considered pure and clean. Anyone who doesn’t agree with that statement, it’s fine. For those of us that see it, and/or experience it, most of us aren’t dwelling on it. However, some days are tougher than others. 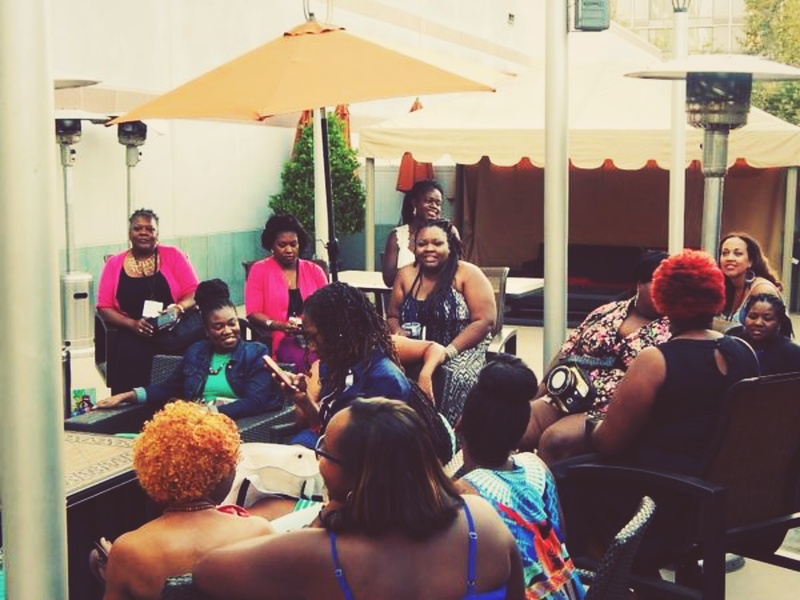 What Goes On in a Black Blogger Meet Up at BlogHer? We talk about expensive shoes, hair, boys, the new Nordstrom being built in Manhattan, how to find a good nanny . . . stuff like that, you know? Despite popular belief, it is not a “kill whitey” movement, lol. Honestly, some of my non-black friends were mad that they were not invited. Frankly, anyone can come, but the black bloggers will not mince their words in regards to sharing their experiences, and offering support. This Meet Up is a place where those of us who are tired, hurt, lost can come and be embraced and find strength in this business. Side Note: Black bloggers are not the only ones that feel this way… Asian bloggers feel left out of the conversation as well. This is a small start to a much larger conversation. No one should feel left out. Thank You to FeministaJones for being forward thinking, and getting this group of bloggers together and offer support. Stay tuned, because my next article is going to be a recap of the overall experience. I truly missed out! I need to stop short-changing myself, and begin to attend these conferences more often. Being from a smaller city which is very not diverse in its thinking at all; I know to well how bias things can be. I try to ignore it for the most part and have even pulled myself out of the bloggers group on FB for this city. I guess that gives them the win but, whatever. It is better than going off and being the angry blogger. I doubt things will change as long as brands can get away with it. For example, if that white blogger noticed black bloggers not getting gift bags did she call out the brand, the event sponsors, or the event host? Did she @ them on Twitter and say what she saw? Did she FB them? Probably not. She still wants to be able to attend events and get things herself. So, to speak about it at a conference doesn’t really change things. Yes, it is a start. Yes, it raises awareness. But until people actively out things in public. No change will occur. The gift bag situation and the conference speakers are 2 different people. The blogger called it out on her site, and the conference spoke upon the things she noticed. Not everyone has the capacity to go to war… as you stated it is a start. Well dang Kitty I was at Blogher this year and missed this great event you guys had. However I am glad that these issues are being brought to light. Good piece and thanks for putting this out into the blogosphere. Thanks for writing this post . 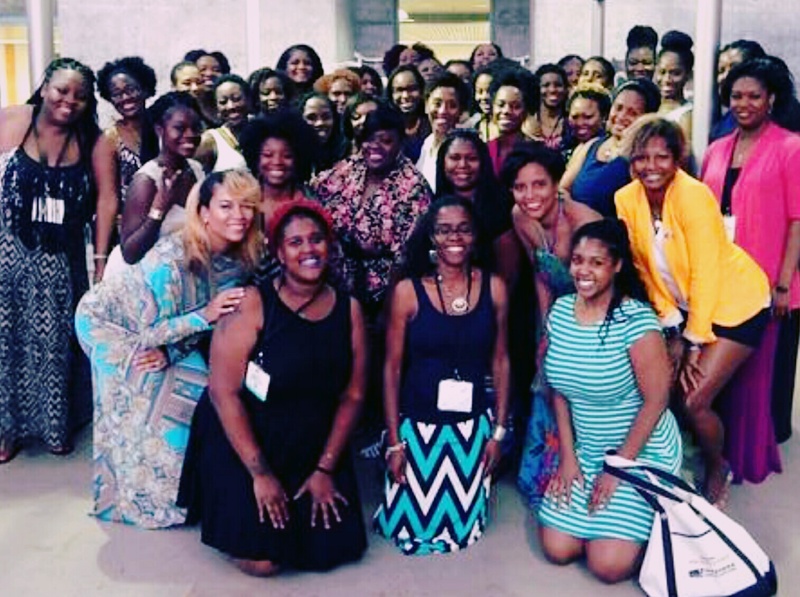 I was very curious about the black blogger experience at BlogHer. Hi Kitty, Is Essence run by white people? I was curious when you said the sponsorship was inferior (even if it’s not the only one). And YES you have allies in white people! I talk openly about the double standard often with my black friends and I will not accept it either. Because even if I benefit from the double standard, I lose. A part of my humanity dies. Signed, your white twin. (Every single word on your character list up there? I could define myself with each one. Except maybe poet. I’ve only written three poems I like. Everything else, though, I could put). Such a powerful piece! I hope to attend a BlogHer conference soon. Its amazing the racism that is still rampant these days…alot of it is hidden and others don’t notice. But those of us who live it…definitely understand. Thank you for sharing.